Astrocyte counts and arbor tracings from juvenile, adult and hormone treated rodents including males females and an androgen-insensitive male model (testicular feminization mutation). Astrocyte tracings provided hundreds of data points for each astrocyte with approximately 550 astrocytes traced. 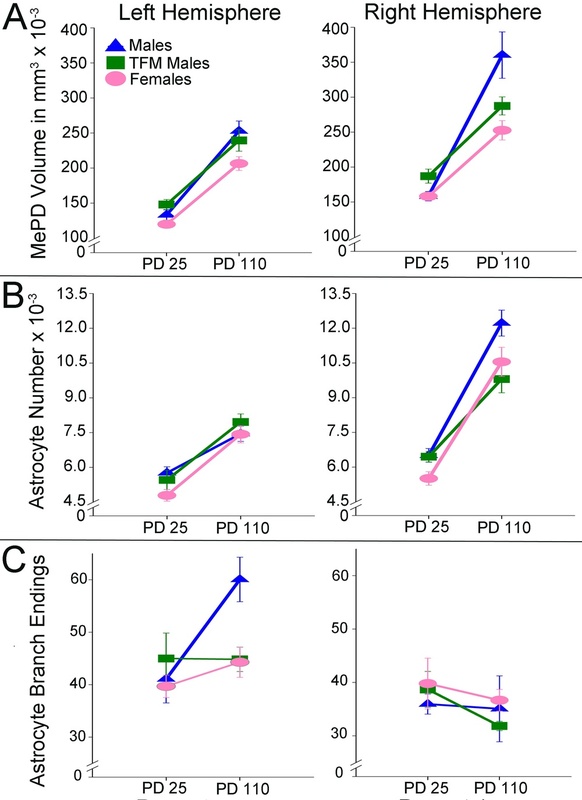 Distinct patterns of astrocyte arbor complexity change during development and in response to hormone treatment were seen in the different groups examined.